Hardie Grant Egmont has acquired world rights to a guide for pre-teens about getting their period, written by journalist Yumi Stynes and Melissa Kang, the longest-serving expert behind the ‘Dolly Doctor’ segment in teen magazine Dolly. 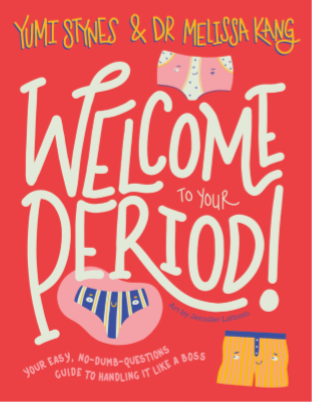 Welcome to Your Period: Your Easy, No-Dumb-Questions Guide to Handling it Like a Boss is pitched as a ‘frank, funny and age-appropriate guide for pre-teens about getting your period’ and ‘a one-stop shop for tweens’ and teens’ menstruation information’. It is paired with illustrations by Jennifer Latham. Kang said her time answering teens’ questions for Dolly Doctor was ‘an incredible privilege and insight into the worries and fears that so many teens and tweens have about periods’, adding that the collaboration also aims to ‘give girls and young women permission to ask, and knowledge they deserve to know, about their changing, beautiful bodies’. The book also marks an expansion in Hardie Grant Egmont’s children’s nonfiction list, with a focus on increasing knowledge and awareness on topics that kids and teens are particularly interested in. Welcome to Your Period will be published in Australia and New Zealand in August 2019.